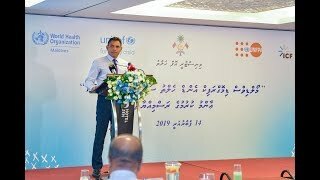 Vice President Faisal Naseem has stated that the future of the nation greatly depends on the quality of healthcare services and societal well-being. He made this remark while speaking at the launching ceremony of Maldives Demographic and Health Survey 2016-2017 findings. The event was held this morning at the Hotel Jen. During the speech, the Vice President highlighted that health improvement is not just a responsibility of the Ministry of Health but it is also an important responsibility of every individual, associations, government and individual institutions. Providing detail on Individual's duty to do what is necessary to stay healthy the Vice President underscored that the importance of shaping the lifestyle in a more healthy way. He also emphasized to that to protect ourselves from diseases we need stay away from bad habits, eat healthy food, and exercise regularly to improve an individual’s physical and psychological health. 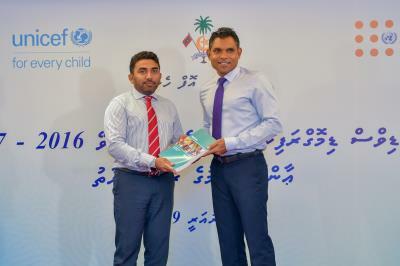 Highlighting the importance of findings of Maldives Demographic and Health Survey 2016-2017 Vice President noted that this national survey identifies the relationship between demographics and health. Also he noted that this survey will help the government to build strategies and policies on improving the health sector. Speaking in this regard, the Vice President pointed out that this survey reflects ill effect tobacco; therefore, this will help this administration to set strategies to reduce these bad habits. At the speech, the Vice President highlighted that “First 100 Days Goals” of President Solih’s administration targeted to set strategies to minimize the consumption of tobacco. Concluding the speech, Vice President noted the importance of Demographic and Health Survey. 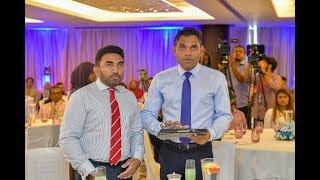 He also expressed his gratitude for people who contributed in developing the Maldives Demographic and Health Survey 2016-2017. He also said special thanks to all staff at the Ministry of Health for preparing such a useful and informative survey.